^ One of the best, maybe. I'm sure #75112 is still the best buildable figure to date. #75106 for £55 and #75112 for £16.50 from Hamleys Trafford Centre both half price which dispite Hamleys usual high prices is a great find. They had a few of each left. I did pick up #31050 Corner Deli and #75112 General Grievous on sale from Amazon recently, which has kept me happy-ish in the meantime. Just build #75112 General Grievous... very impressive. The TRU by me had #75096-1 marked down to $44. I had a cash voucher for $16 after cashing some change at a kiosk. 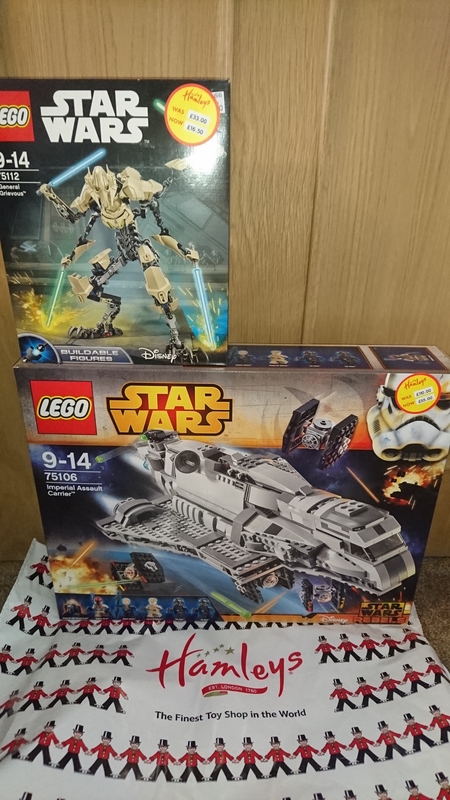 They had a General Grievous #75112-1 for $20, but I got the Sith Infiltrator instead. see a good bit of #7019, #79111, #3818, #9446 #75112, and some Chima stuff.